Item # 306683 Stash Points: 595 (?) This is the number of points you get in The Zumiez Stash for purchasing this item. Stash points are redeemable for exclusive rewards only available to Zumiez Stash members. To redeem your points check out the rewards catalog on thestash.zumiez.com. 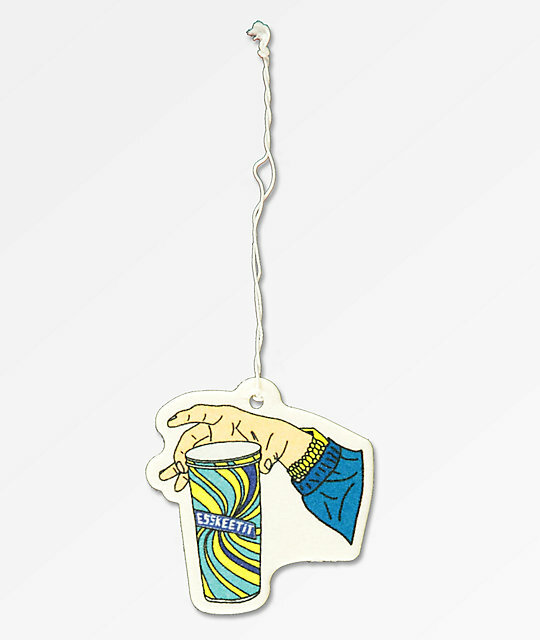 Be reminded of your favorite drink with the Double Cup Air Freshener from Artist Collective. This air freshener features a graphic of a hand holding a double cup drink with "Esskeetit" written across the front and is finished off with a "Purple Drank" scent. Double Cup Air Freshener from Artist Collective . 2.5" (6cm) x 2.5" (6cm).